Here’s a series of videos I’ve made for TenForums.com about Windows Server to get you started with Server editions of Windows. 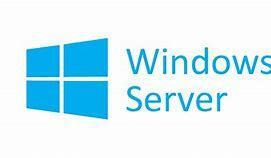 It might be that you already know Windows Server quite well, but I would not be surprised if you found something new in these videos anyway. My apologies if the neutral background music sounds disturbing. At the time of making these videos, my microphone was creating quite heavy background noise which I needed to hide by using music.